Advanced Battery technology allows for faster charge times, longer usage and greater standby times. Control your home theater unit from he comfort of your couch. 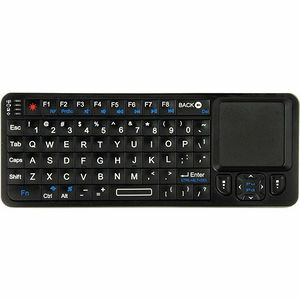 A com- plete QWERTY backlit keyboard allows you to navigate menus, or websites from up to 30 feet away. Forget the mouse! Our innova- tive design lets you use the touch pad in the horizontal or vertical position.